We specialize in all types of parties and functions. Our party specialists will assist you in creating the perfect group party or corporate event for groups of any size. Let us do the work and you get the credit for your next event! Private Bookings are available 7 days a week when we do not have a Public Session. We can customize your private celebration to meet your needs and requirements. Many special additions are available to make your private event unique and memorable. Please call our Party Specialist at (918) 272-7537 for availability. 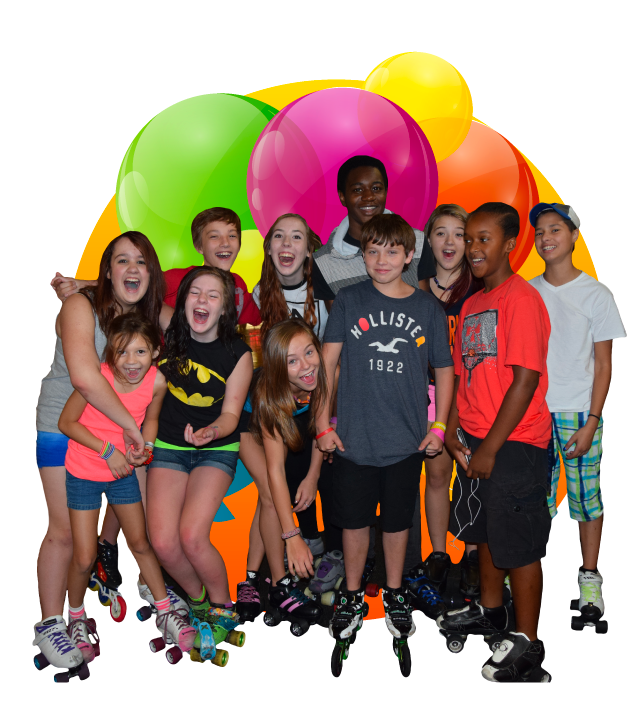 This package includes Unlimited Skating, Unlimited Laser Tag, Unlimited Playzone (56” and under only) plus FREE skate rental. This package also comes with 2 slices of pizza per child and a drink. No charge for teachers to skate. Teacher lunch is $3 per person. The Unlimited Fun Package is our most popular package, and the best value at $13 per person. This package includes 3 activities per person. Choose Skating w/rental, Laser Tag (1 game per activity), or the playground for children 56” and under only. The Extreme Fun Package is $10 per person and includes a drink for each child. No charge for teachers to skate. This package includes 2 activities per person. Choose Skating w/rental, Laser Tag (1 game per activity), or the playground for children 56” and under only. The Fun package is $8 per person and includes a drink for each child. No charge for teachers to skate. This package includes 1 activity per person. Choose Skating w/rental, or the playground for children 56” and under only. The Fun package is $6 per person and includes a drink for each child. No charge for teachers to skate. Regardless of the package you choose, we know you will have a wonderful time and we look forward to hosting your group! Please call our Party Specialist @ 918-272-7537 to book your date. Advanced reservations are required. Ask about our Daycare Center Rewards Program! IMPORTANT: Above rates valid ONLY for groups booked a minimum of 24 hours in advance. Groups without advance booking subject to $1 per person increase. A signed contract is required to reserve date.